Facebook is arguably the biggest social media platform that provides information in an organized manner. Since inception, the population has grown to exceed those in respective countries, and perhaps even larger than some continents. It’s the basis for online marketing owing to the ability to reach out to a large crowd in the right way and time. You can never fail with it making it the most comprehensive yet effective platform on the earth. On another front, blogging seems to be the newest craze through which people express their grasp into the audience. It’s the promotion part that remains a challenge to most bloggers rendering their works futile. If you cannot gain adequate exposure, your information remains buried under thousands of posts that take the lead in the market. Every company wants to associate with a blog hat draws followers from the respective market niche. A huge following comes with enormous earnings through advertisements and product endorsements. While it holds a huge potential for all marketers, most fail to capture the instincts of the audience failing to get the best out of the efforts. You have to get it right if you want to put the blogs in the limelight. As you go through the platforms paid promotions, you can base your promotions on the best practices for maximum exposure and lower costs. Other than promoting your blog from your profile, you can also do the reverse: allow visitors to share the link from the landing pages. Even with great content, you stand to fail if the audience cannot expose your page on their timelines. You need to install the sharing buttons such as the ‘like’ button to capture those that might not access the link via your Facebook posts. It forms a basis for repeated shares that gives a wider coverage beyond your friend’s list. Be sure to evaluate the reviews before selecting the designs. The ability reaches your audience depends on some tactics you use. For instance, most people leave the posts for the audience to promote, even when the audience does not understand the underlying objectives of the posts. While they could give you some reach into the market, they are likely to miss out on the purpose of the promotion. For this reason, you need to consider boosting your posts. You will need to set up a budget, select an audience and set up the function. As you solicit for growth on your blogs online visibility, you probably want to do it at minimum cost. Cost avoidance seems to be the guiding principle among businesses. While it helps boost your profitability, there is a good reason why people use paid ads. The paid ads promote the content directly to the target audience giving you an edge ahead of the competition. Unlike the free posts, paid ads gain high priority on the wall making it pop-up severally to keep the blog on top. Free posts are likely to disappear as soon as you publish, only visible to those that react to them. The ads are quite affordable owing to the numerous benefits that come with the campaigns. As if not enough, you can tie down an ad to reach to your fans when they have already engaged with the posts. Unlike the printed publications, online visitors have little time to spend on your content. Based on a study by copy blogger, about 80% of the visitors do not go beyond the headlines. As to whether they read the rest of the content depends on the quality of the titles. Long titles and standard phrasing are likely to keep them off from advancing the urge to click onto your blog. For this reason, you need to select headlines that attract the attention of the readers. Always think like a user when developing content, other than just writing for the search engines. You may opt to use a headline that is different from that on the blog, to redirect the readers. Beware of the current affairs and issues entangling the audience. Human beings are mostly visual, making them respond to pictures and videos, as opposed to written content. In fact, the content is deemed complementary to the visual adverts as they serve to nourish the readers urge to know what it is they get from the blog. Nevertheless, you need to use unique images and videos as opposed to reusing the same for different campaigns. It helps to use the expert image and video producers that are cognizant of the market requirements. Without content that captures the reader’s imaginations, a captivating headline and image are not guarantee to many clicks. In fact, that will be all that the audience will see, and perhaps not come back. It is the content that creates the urge to revisit a site whenever you need to know something, hence the need to reevaluate the duration process. Having engaged the audience at the headline and image level, they will need to read something valuable if they are to click into the blog to read the articles. Consider using facts and testimonials to improve the blog’s credibility, or rather ask questions, and give solutions while playing with their emotions to trigger discussions. Unlike the conventional media channels, most social media platforms fail to target specific audience giving minimal results to the blogs. 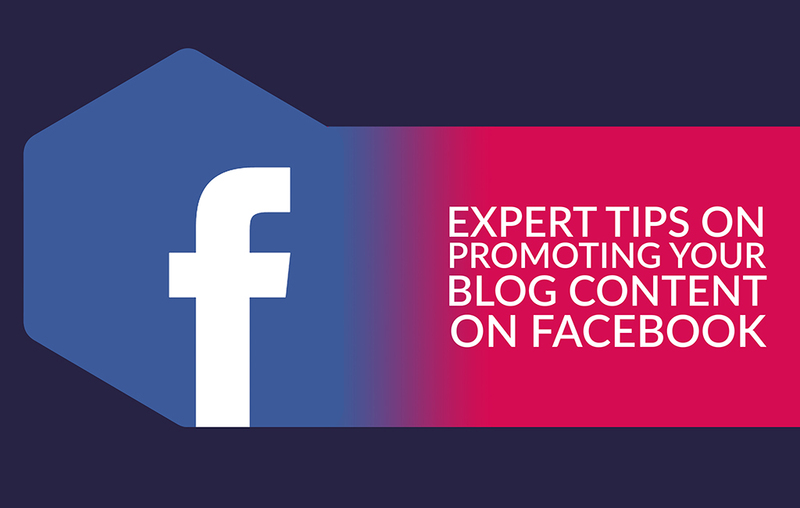 Your Facebook promotion ought to focus more on targeting rather than just gaining online visibility. The chances are that most of the viewers will not be interested in what you offer which results into no clicks into your landing page. Define the potential readers before setting up the posts, and while it could increase the cost per clicks, you rest assured that the information reaches the right audience. You can target people based on their interests, age, geographical location, gender, purchase patterns, literacy levels as well as the religion. Facebook promotion is not a one-time activity, hence the need to keep tabs on those that have interacted with your posts. The custom audience function helps you target only those that have engaged with the Facebook platform. They are the most important segment as they understand what you have to offer. All you need is install a Facebook pixel, and click the “web traffic” for more options. The feature allows you target based on those that visited the domain, specific pages as well as the time took per visit.